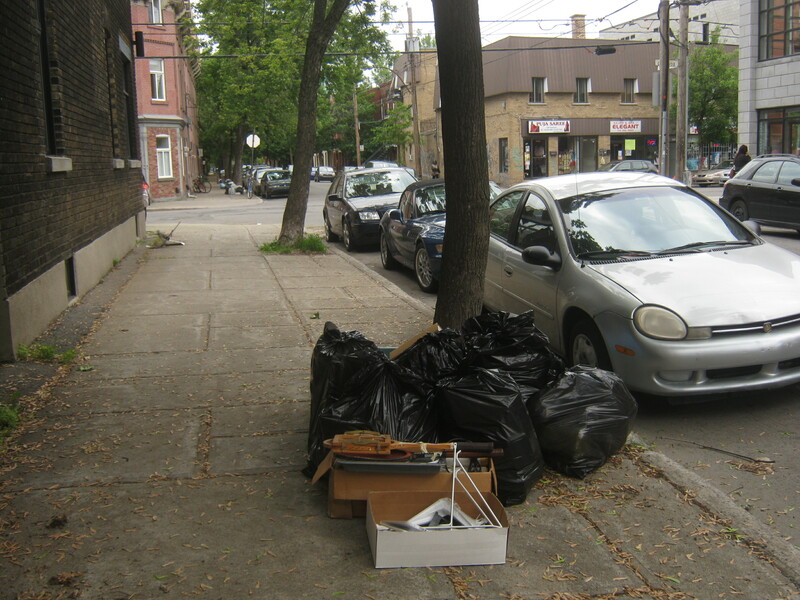 I visited my friend in the faraway land of NDG and decided it would be a good excuse to search for trash in some new neighbourhoods. I did my research beforehand and found a part of Verdun that I wanted to check out specifically. 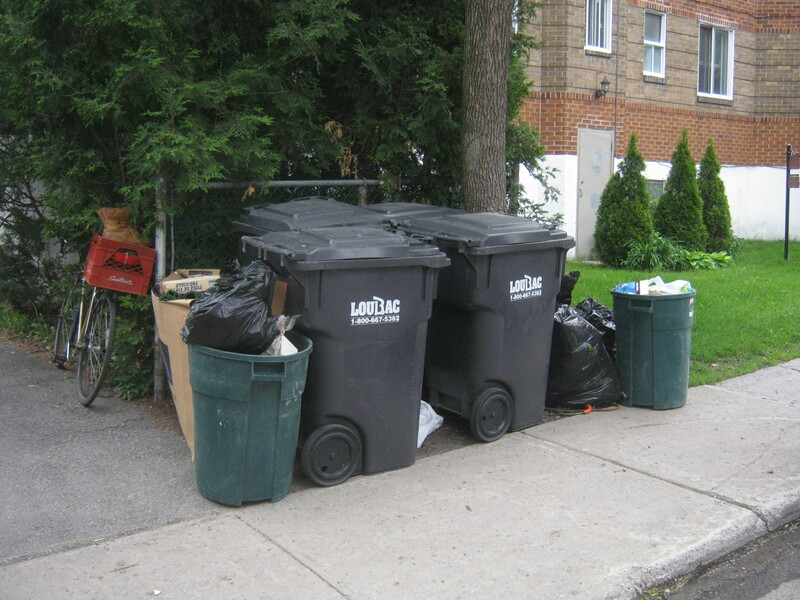 What I didn’t know was that NDG and St-Henri were also scheduled for trash collection. I explored these places a bit but I mostly stuck to my plan of getting to Verdun, if only because I knew the specific boundaries of the trash collection schedule. 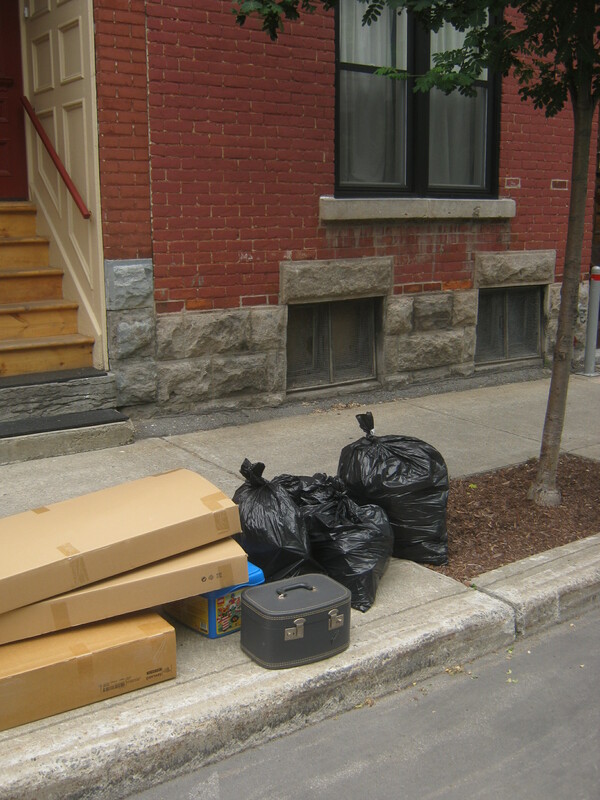 Going to Verdun and Pointe-St-Charles was a lot of fun. 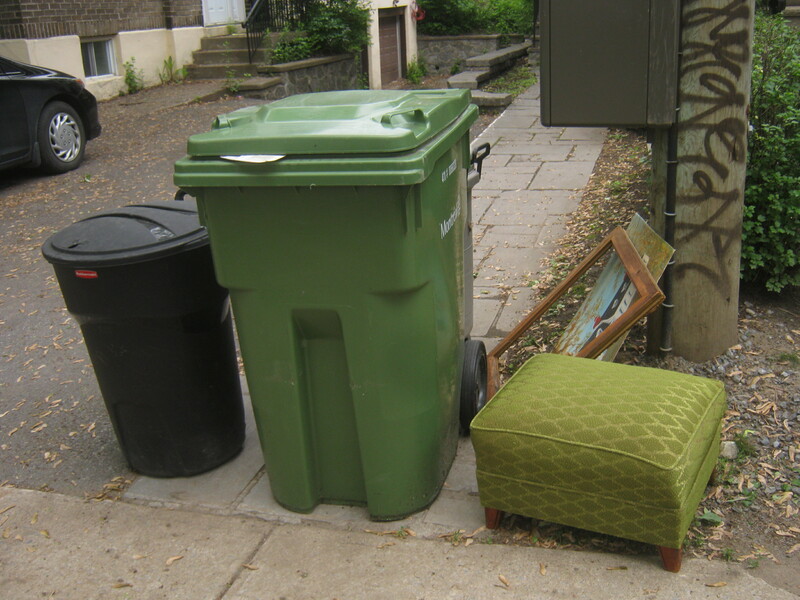 I think it was a “heavy trash” day which meant a fair bit of furniture on the streets. It seemed like there was always something interesting around the corner, and while I didn’t bring much home it was a pretty good time. 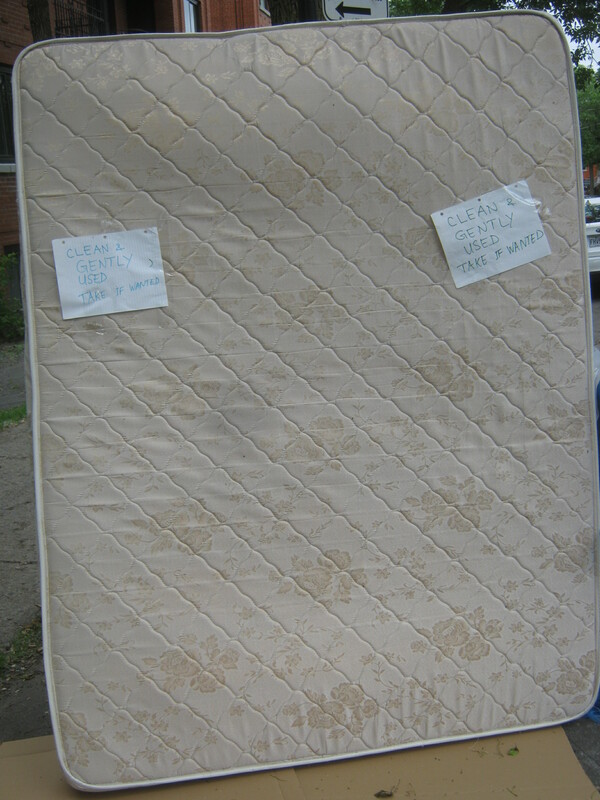 This mattress was left on the curb in NDG. The owners labelled it as being clean, which is a nice thing to do, but I doubt anyone would have found it in time. It’s probably best to put a Craigslist free ad out for this kind of thing. Outside of an apartment building in NDG. I found some nice leather steel-toed boots (you can see them in my bike basket) which I ended up leaving on Sherbrooke near Oxford for someone in need. Some original art by J. Rousseau. I wanted to take it but it was a bit too wide. I ended up relocating this as well. There was also a nice little footstool but I didn’t have room to bring it. Now in Verdun (near Charlevoix metro station). 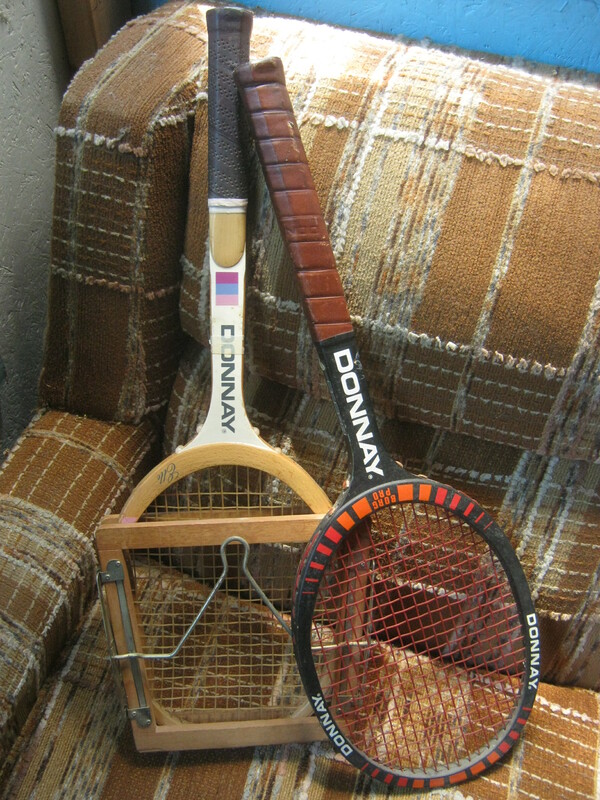 I noticed a couple of functional older tennis racquets sitting in a box. I decided to take them home thinking (hoping) they could be worth something. The Borg Pro (Borg for Bjorn Borg, not the Star trek Borg) sells for up to 100$ on Ebay. I don’t have the cover but I expect I still might be able to get 50 for it. Not too shabby! 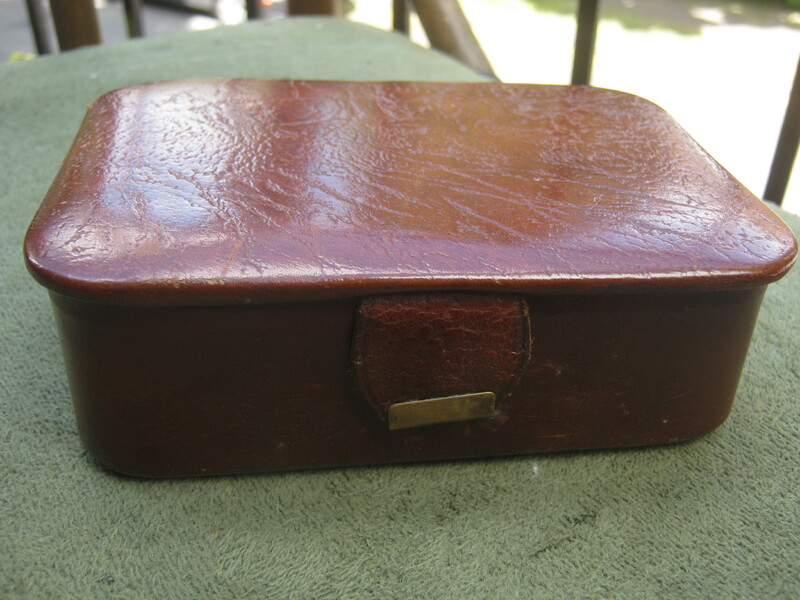 Inside one of the bags was this little Tiffey “Oak Calf” leather box. It was full of keys. I found this box full of purses in a trash bin outside of a big apartment complex. I moved it somewhere more accessible. Some toys that unfortunately are unlikely to played on again. I really wanted to take the old Splitkein wooden skis but they were a bit cumbersome and I was really far from home. I kind of wish I tried though (or stashed them somewhere) as they were in nice shape and sell for around 40$ on Ebay. 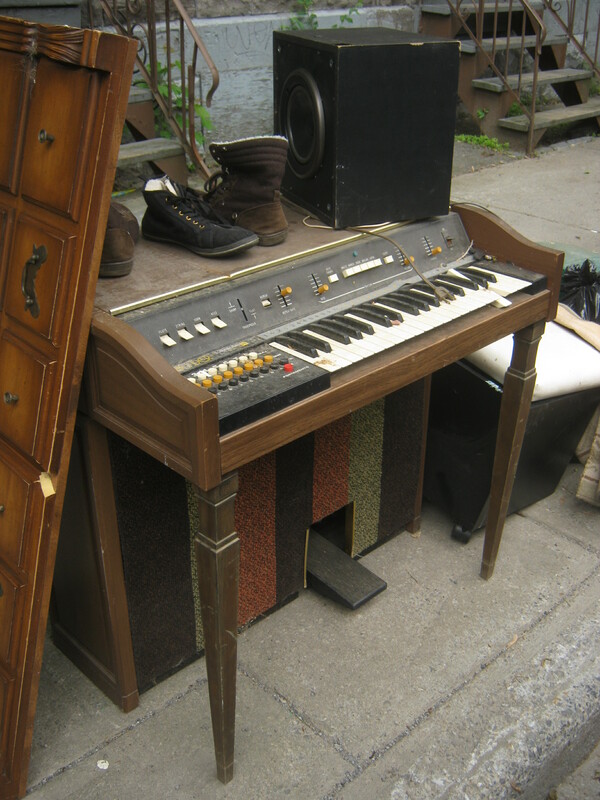 An old Hammond organ. It needed some work but I’m sure someone out there would be interested in taking it in as a project. 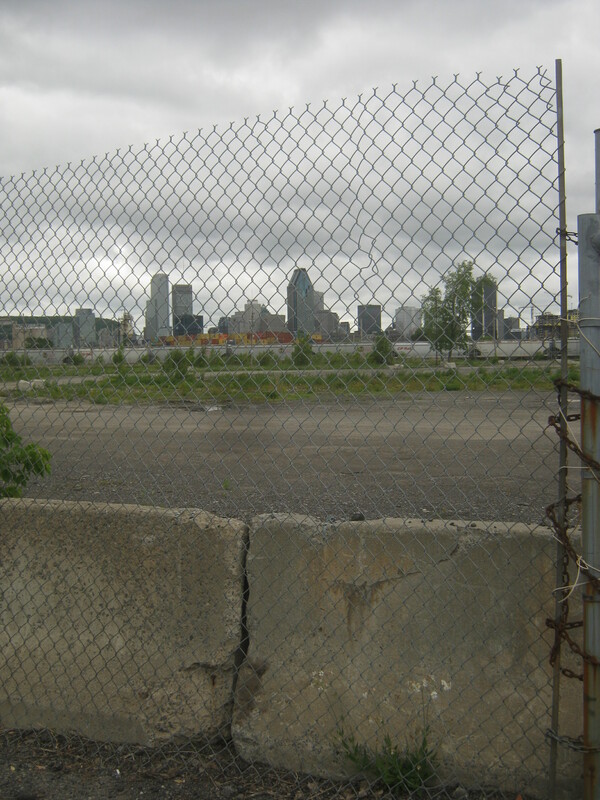 The Montreal skyline from Pointe-St-Charles (rue Sebastopol). I basically live twice the distance of the skyscrapers away. As you can see I had a lot of biking ahead of me! 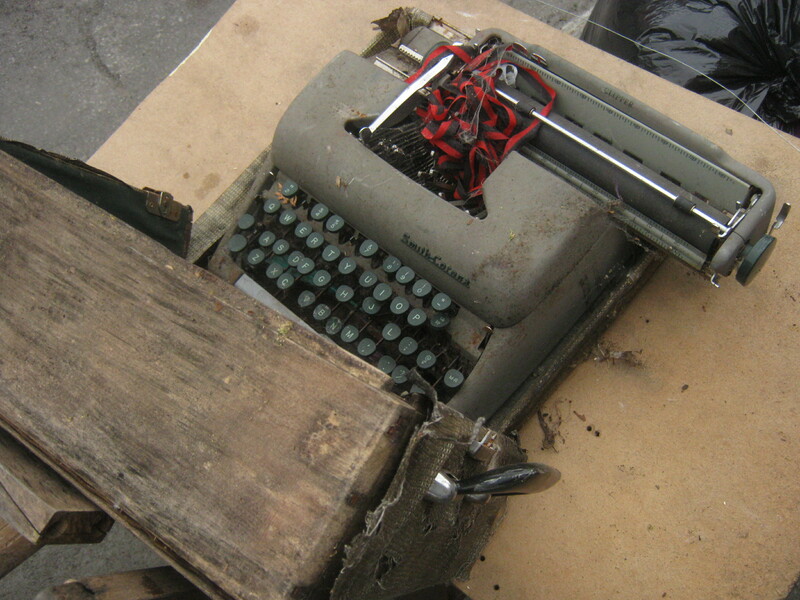 I like typewriters but this one, sitting among a bunch of stuff that looked like it had spent years in a garage, was too far gone to be worth taking. 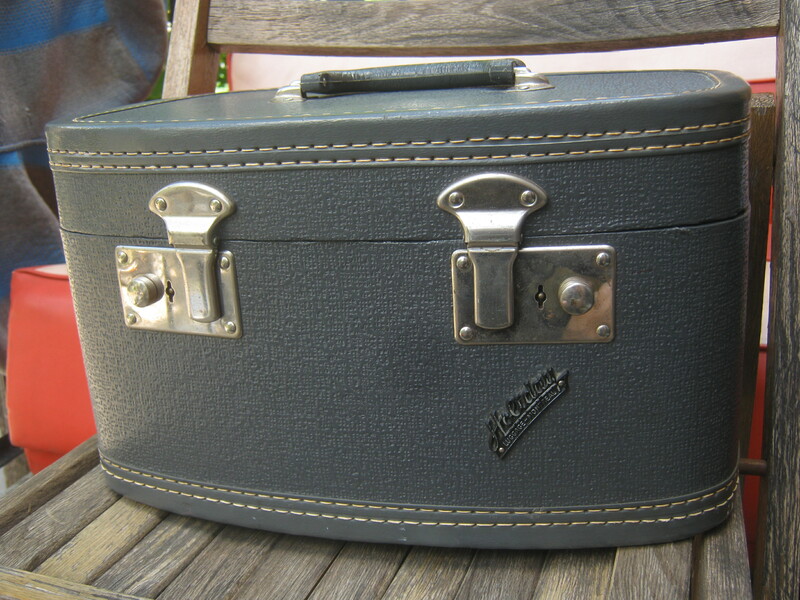 Finally, I found this beautiful case marked “Holiday Luggage Montreal.” It’s in really great condition and could have some value as a vintage piece. Inside were two pieces of lego so I reckon it was used as a toy chest. I began my journey back home. Along the way I checked out a bit of the trash in Centre-Sud despite being quite tired by this point. I was looking through some bags a bit south of Sherbrooke when a kind lady came out and asked if I needed anything. 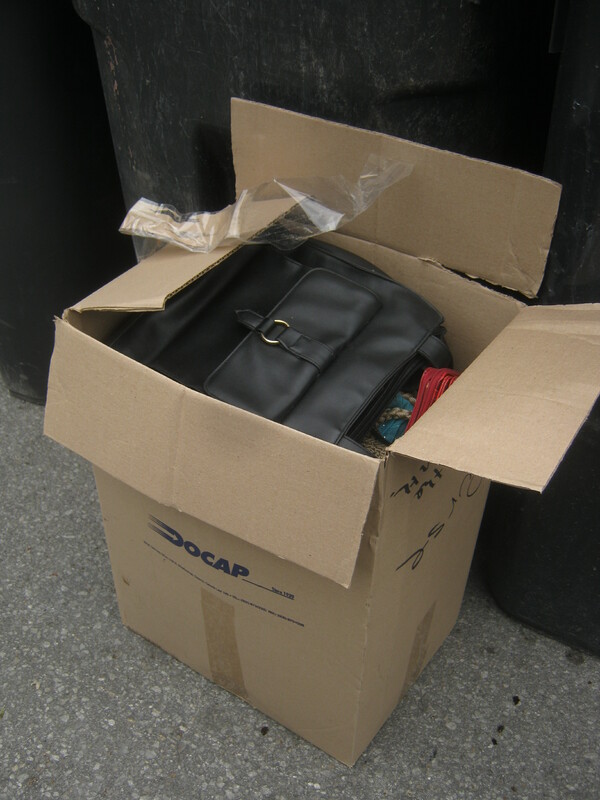 She was moving and was throwing out what she didn’t already recycle. I took some stuff including a bathroom scale and some dishes that I didn’t really need but figured might be useful to someone. 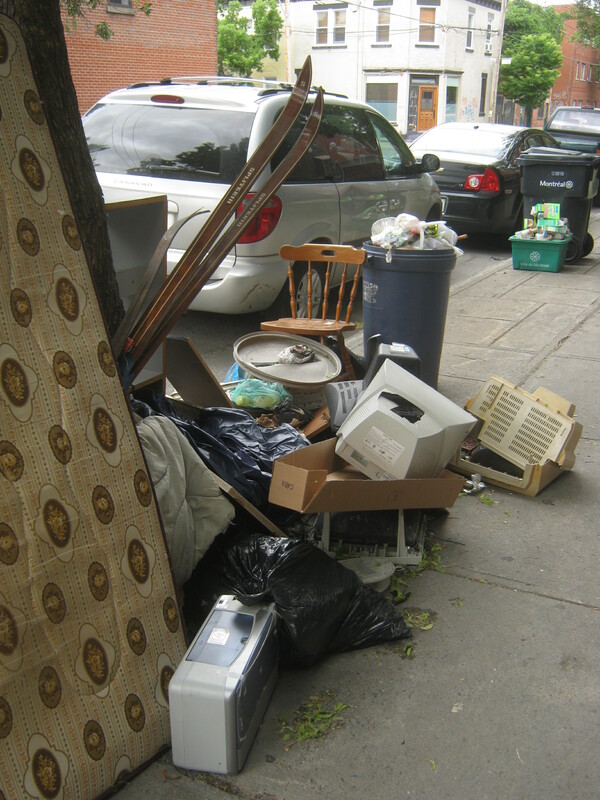 I left some of it on a “safe” street (Cherrier) for others but did come away with a working steamer and iron. Overall I was out for close to four hours today which is pretty awesome. I enjoyed my trip to Verdun and wish it was a bit closer to home. I may come back once in a while but it’s too far to do regularly. The experience did whet my appetite to explore new neighbourhoods so I may end up doing a bit more of that in the near future! Now, I need a nap before my “normal” Plateau trash-run. I began to feel your fatigue just reading your post. You’re getting no shortage of exercise, that’s for sure. Any skeleton keys in that Tiffey “Oak Calf” leather box? (if so, save them for me). If the interior of the box and the leather are in good condition, you could ask $25 for it. I Googled “Holiday” brand vintage hard-body suitcases. In good condition they can sell for up to $70. There are so many things that I would love to have! The stool, the skiis. 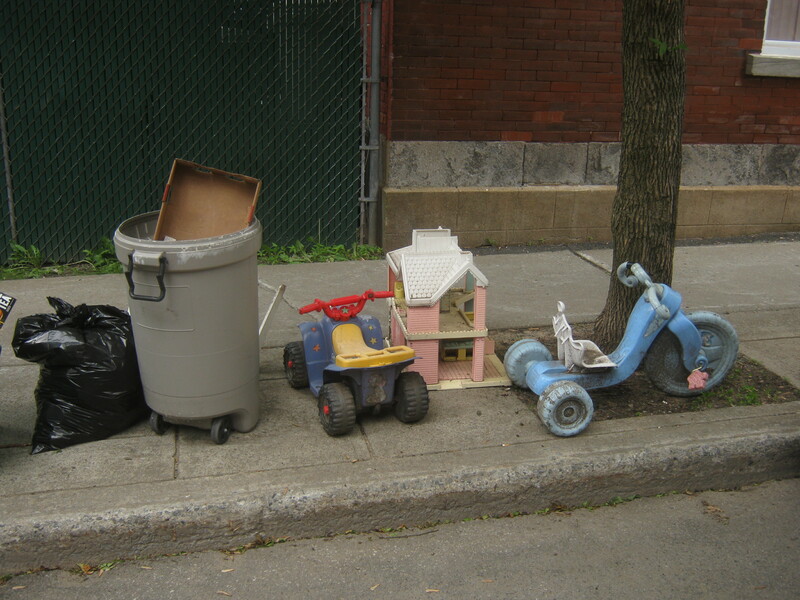 I am glad that summer vacation is about to start for me, and I will have more time to scour for neat things in the trash. How do you know if something has worth..do you have a smart phone?’ Do you look things up on the spot or wait till you are home? Also, you get a feel for it. You know from looking that something is uncommon or even rare. That doesn’t mean it will bring in a lot, but there are so many toaster ovens out there that they will have even less value. you might see one again. 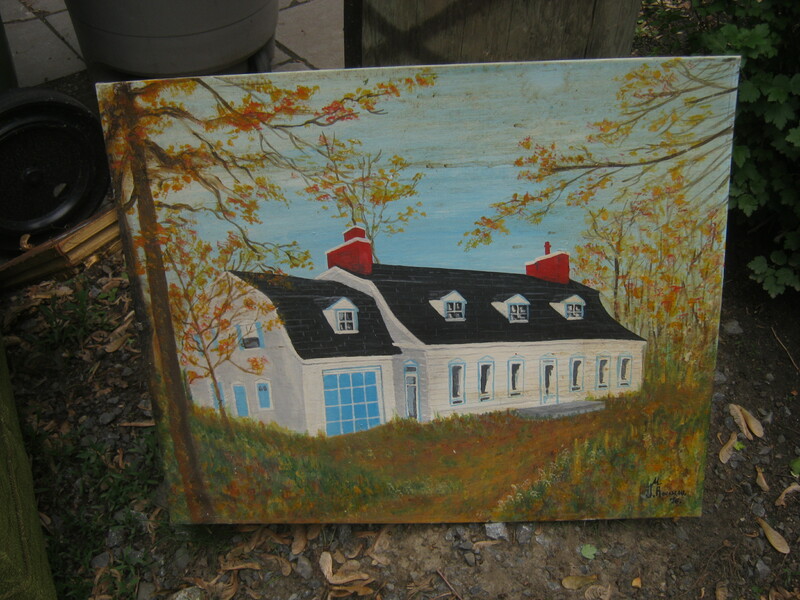 There’s that show on PBS “Market Warriors” where some antique collectors go to fleamarkets and buy things within a budget, and then try to make a profit selling at an auction. The show doesn’t make sense, if you’re buying from antique dealers, and they are, then the items already appraised and priced accordingly. This wasn’t raw stuff. The ability to make profit is extremely limited. Buying from a raw situation, someone’s garage sale, or pulling things out of the garbage, there’s no investment other than time. A few dollars for an item may not be much, but it’s a few dollars that you didn’t have before, and you didn’t have to invest money to see that income. Of course the downside is that with Ebay, I gather a lot of things have sort of bottomed out, they become much easier to find used than in the past, so the price goes way down. Note those tv sets with the holes in the back. For a year or two, every tv set and CRT monitor that I’ve seen has a hole in the back. I though maybe the owner was deliberately smashing their tv sets to avoid secondary use (it was around the time I saw a notice to slash matresses when tossing them, to ensure no bedbugs were passed on). Or someone was really having fun smashing tv sets, which used to be an occasional thing. But I mentioned it to someone, and he pointed out that they were probably grabbing the large coil of copper wire in the deflection coils, which are sitting on the neck of the picture tube. That makes sense, a large chunk of copper, the most easy to process, and no need to take the tv set home. They probably do get a fair amount for it, precisely because it’s “pure copper”, while a tv set would offer very little.